Enable preloader – preloaders are important interface elements that let visitors know that the website hasn’t crashed, it’s just processing data. Enable go to top button – allows users to smoothly scroll back to the top of the page. 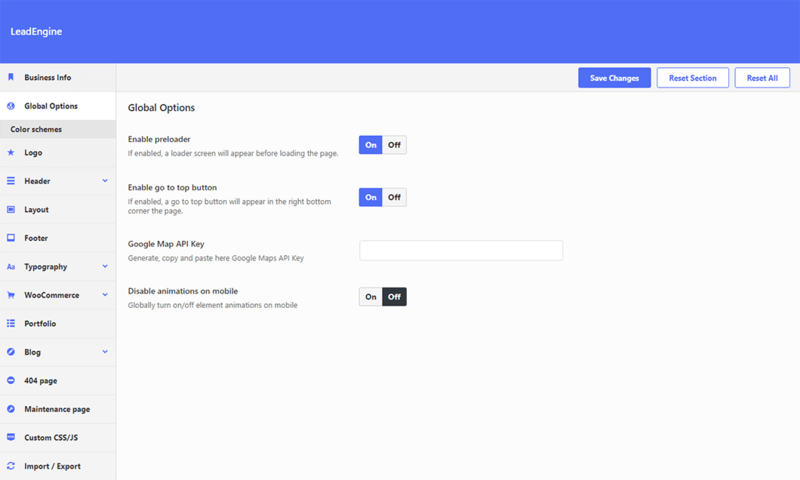 Google Map API Key – Google requires you to use an API KEY to display custom maps on your website. Create your own API KEY and paste it here. Disable animations on mobile – option to disable element animations on mobile devices.